All-Way Wire Rope and Splicing, Inc. is the best resource for rigging equipment and material handling products in the entire St. Louis area. We provide our customers with the products that they need that will also stand the test of time. We have been a family owned and operated company dedicated to quality since we first opened our doors back in 1980. Our team is dedicated to providing our customers with the lifting clamps that they need while providing the best customer experience possible. To get started in finding the lifting clamps that you need for your next job in St. Louis, please call All-Way-Wire Rope and Splicing, Inc. today at 800-920-3330. You may also get in touch with any of our knowledgeable associates by simply completing the easy-to-use form located on this page. 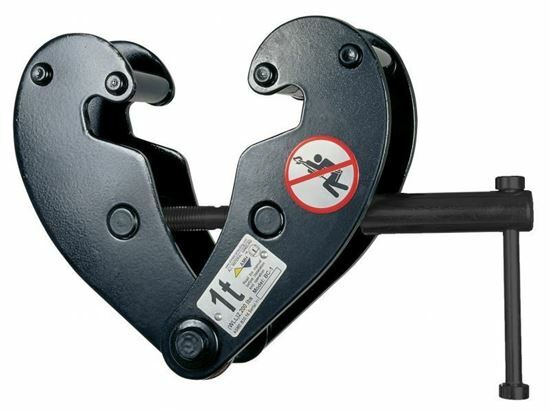 At All-Way Wire Rope and splicing, we proudly offer the best lifting clamps on the market today. Our team takes tremendous pride in offering our clients throughout St. Louis with top-of-the-line products for their material handling needs. We have a team of seasoned professionals who can help you select the proper lifting clamps for your specific application. Whether you work in heavy construction or any other field, All-Way Wire Rope and Splicing, Inc. can assist you with your needs. The mission at All-Way Wire Rope and Splicing, Inc. is to provide our customers with products that are beneficial as well as affordable. We offer custom solutions designed to fit your specific application and price range. Our products and services are affordably priced when they are compared with our top competition in the St. Louis area. If you would like to find out more about the lifting clamps available in St. Louis at All-Way Wire Rope and Splicing, Inc., please call us now at 800-920-3330. Visitors may also request more information regarding our lifting clamps by simply filling out the online request form on this page.